Hendersonville, NC, January 8, 2016….Have you ever wanted to learn something truly special for this area? 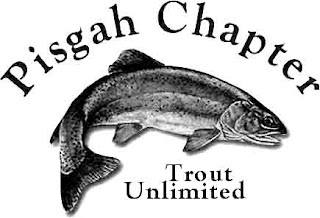 The Pisgah Chapter of Trout Unlimited is holding its annual Fly Fishing School on Saturday, April 23, 2016, from 8:30 am to 4:45 pm at Harmon Field in Tryon. Students will receive not only a full day of practical instruction from experienced anglers covering the basics of fly fishing including equipment; casting; line management; and stream tactics; they will also get a ½ day session of “hands on” learning on one of the area’s trout rich rivers or streams. The combination of the classroom instruction and on-the-water guided practice makes this one of the most unique and economical fly fishing schools available in our area. The cost of the school (which includes lunch on Saturday, the 23rd) is $150 for adults and $100 for kids (ages 12 – 18). The price for a student of the 5 – Rivers Outreach Program is $125. Equipment for the class will also be provided. Early Bird Special: $25 off the price of the school if registration and payment are received before March 1, 2016. For more information or to register for the school, please visit the PCTU website at www.pisgahchaptertu.org or Lou Barlow at riverrooster@me.com Class size is limited. Early registration is recommended. All proceeds from the school help support the various Trout Unlimited educational and environmental programs in Western North Carolina. The PCTU Chapter meets on the second Thursday of the month at the Pardee Health Education Center, Blue Ridge Mall. Come join us and make new friends. fisheries and their watersheds in the Western North Carolina region.